"Let my voice be heard by all of you, my people. I am going in quest of Wisdom and Learning. My spirit impels me to go and find them out where they are to be had, for I am smitten with the love of Wisdom and I feel myself drawn as though by a leash toward Learning. For there is nothing on earth more precious than Wisdom… Now I have heard of the wisdom of Solomon and I love him merely on hearing this about him, and to discourse with him is the desire of my heart, like water to the thirsty." This queen has been called a variety of names by different peoples in different times. 1 King 10 refers to her as the Queen of Sheba. 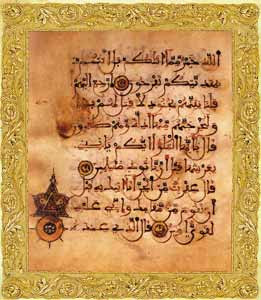 In Islamic tradition she was called Bilquis although not mentioned by that name in the Qur’an. 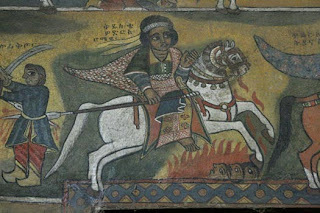 Ethiopian tradition refers to her as Makeda. She was also believed to be half-jinn, and was reknowned for her beauty and for her wise leadership. In Beresh't (Genesis) 10:7 there is a reference to Sheba, the son of Raamah, the son of Cush, the son of Ham, son of Noah. The name Ramaah is mentioned as the fourth son of Cush, who is the son of Ham, who is the son of Noah in Gen. 10:7. 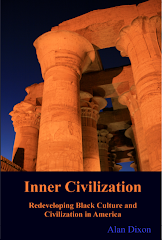 He is the brother of Nimrod, who founded several cities in Mesopotamia, including Babylon and Nineveh. We know from the inscriptions of ancient Sheba that Raamah's descendants settled near to the land of Havilah (Ethiopian shore) to the east of Ophir. 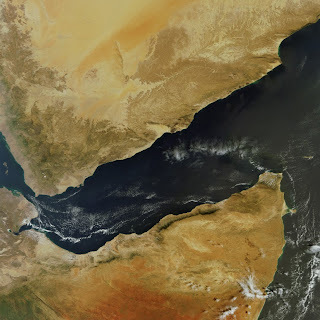 This country of Raamah is usually assumed to be somewhere in the region of Yemen. Raamah and his descendants are often held to be included among the Sabeans (an ancient people speaking an Old South Arabian language who lived in what is today Yemen). Some Sabaeans also lived in D'mt, located in northern Ethiopia and Eritrea, The Yemenites are dark-skinned as are the descendants of their progenitor's eponymous grandfather, Kush or Cush, commonly translated in the Bible as Ethiopia, meaning dark. "When the queen of Sheba heard of the fame of Solomon concerning the name of the LORD, she came to prove him with hard questions. She came to Jerusalem with a very great train, with camels that bare spices, and very much gold, and precious stones: and when she was come to Solomon, she communed with him of all that was in her heart. Solomon told her all her questions: there was not any thing hid from the king, which he told her not. When the queen of Sheba had seen all Solomon's wisdom, and the house that he had built, and the meat of his table, and the sitting of his servants, and the attendance of his ministers, and their apparel, and his cupbearers, and his ascent by which he went up unto the house of the LORD; there was no more spirit in her. And she said to the king, It was a true report that I heard in mine own land of thy acts and of thy wisdom. Howbeit I believed not the words, until I came, and mine eyes had seen it: and, behold, the half was not told me: thy wisdom and prosperity exceedeth the fame which I heard. Happy are thy men, happy are these thy servants, which stand continually before thee, and that hear thy wisdom. Blessed be the lord thy creator, which delighted in thee, to set thee on the throne of Israel: because the LORD loved Israel for ever, therefore made he thee king, to do judgment and justice.… And king Solomon gave unto the queen of Sheba all her desire, whatsoever she asked, beside that which Solomon gave her of his royal bounty. So she turned and went to her own country, she and her servants." 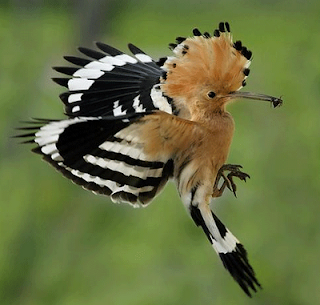 According to the Qur’an 27:22 Solomon heard of The Queen from the Hoopoe bird. [27.30] Surely it is from Sulaiman, and surely it is in the name of Allah, the Beneficent, the Merciful;[27.31] Saying: exalt not yourselves against me and come to me in submission. In response she sent a messenger bearing gifts. [27.36] So when (the envoy) came to Sulaiman, (King Sulaiman) said: What! will you help me with wealth? But what Allah has given me is better than what He has given you. Nay, you are exultant because of your present. Eventually she came to his palace…[27.44] It was said to her: Enter the palace; but when she saw it she deemed it to be a great expanse of water, and bared her legs. He said: Surely it is a palace made smooth with glass. She said: My Lord! surely I have been unjust to myself, and I submit with Sulaiman to Allah, the Lord of the worlds. The Queen of Sheba (Nigiśta Śab'a), is named Makeda in the Ethiopian account (which from the Ethiopic languages translates literally to English as "pillow"). The narrative given in the Kebra Negast - which has no parallel in the Hebrew Biblical story - is that King Solomon invited the Queen of Sheba to a banquet, serving spicy food to induce her thirst, and inviting her to stay in his palace overnight. The Queen asked him to swear that he would not take her by force. He accepted upon the condition that she, in turn, would not take anything from his house by force. The Queen assured that she would not, slightly offended by the implication that she, a rich and powerful monarch, would engage in stealing. However, as she woke up in the middle of the night, she was very thirsty. Just as she reached for a jar of water placed close to her bed, King Solomon appeared, warning her that she was breaking her oath, water being the most valuable of all material possessions. Thus, while quenching her thirst, she set the king free from his promise and they spent the night together. The imperial family of Ethiopia claims its origin directly from the offspring of the Queen of Sheba by King Solomon. Tradition also says that she bore his son, Menelik I.
Josephus says in his Antiquity of the Jews, book 8 chapter 6, that it was the "Queen of Egypt and Ethiopia" who visited King Solomon. Also, Jesus refers to her as the "Queen of the South" in Matthew 12:42. Daniel 11:5 and 8 identify "the South" as Egypt. 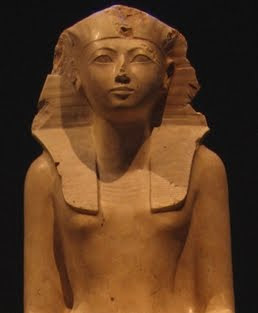 There also have been claims by some scholars that the ancient Egyptian name Hatshepsut translates as "Queen of Sheba." Hatshepsut was a female pharaoh of Egypt, born c. 1508 and died 1458 B.C., who revived active trade with neighboring kingdoms and created a flourishing and prosperous economy for her eighteenth dynasty kingdom. Mathtew 12:42. "The queen of the South shall rise up in the judgment with this generation, and shall condemn it: for she came from the uttermost parts of the earth to hear the wisdom of Solomon; and, behold, a greater than Solomon is here." document end up cost accounting statesman than one week. newest way to economize wealth on your individual-regard.